in 1988. He then completed his internship and residency in internal medicine and then his fellowship in gastroenterology at NYU Medical Center/Bellevue Hospital. 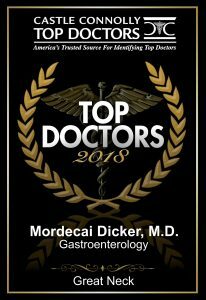 Over his years of clinical practice, he has also attained fellowships in the American College of Physicians, American College of Gastroenterology, and American Gastroenterological Association. 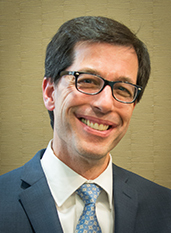 Dr. Dicker is actively involved in the teaching of medical students, interns, residents, and gastroenterology fellows at North Shore University Hospital in Manhasset and Glen Cove. He is a Clinical Associate Professor in the Department of Medicine at the Hofstra University North Shore-LIJ School of Medicine. Dr. Dicker is on the professional staffs of St. Francis Hospital , and North Shore University Hospital in Manhasset and Glen Cove . He has special interests in the areas of colon cancer and inflammatory bowel disease. He is an expert endoscopist/colonoscopist and performs a large number of these procedures yearly.